File photo of Carl Bernosky from previous competition. 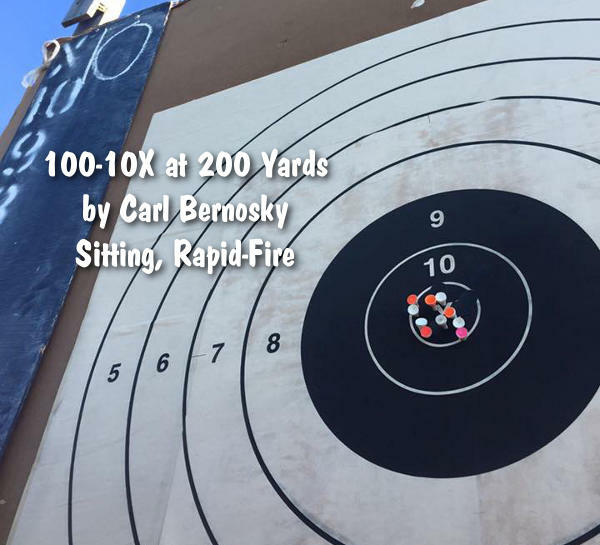 The target below is a 100-0X, shot rapid-fire prone by an unknown sling shooter. That may not seem that impressive at first, but this was fired from THREE HUNDRED yards. It takes a mighty solid hold to produce a nice 10-shot cluster like that without dropping a point. Target Photos from Facebook by Aaron Perkins. Share the post "High Power Excellence from Camp Perry"
Dennis DeMille is a past Camp Perry National Champion, and he still one of the nation’s top Service Rifle shooters. Since retiring from the U.S. Marine Corps, Dennis has served as the General Manager of Creedmoor Sports. Some years back we had the chance to interview Dennis at the old Creedmoor offices in Oceanside, California. With his decades of competitive experience, Dennis has a wealth of knowledge. In this 3-minute interview, Dennis shares insights into the High Power shooting game. 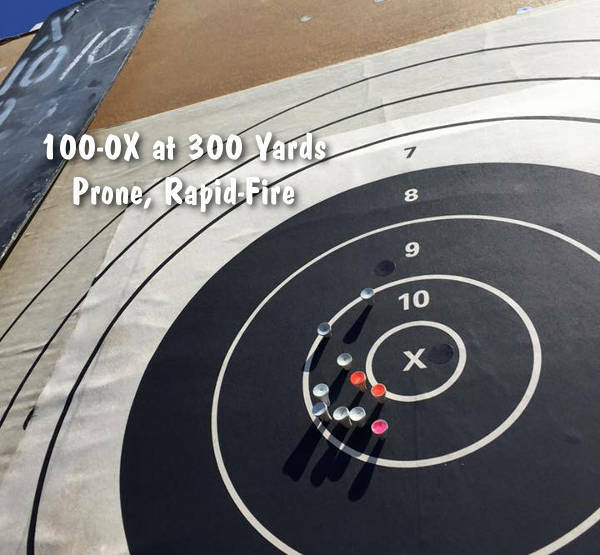 He discusses the most effective ways to train for competition, the fundamentals of good marksmanship, and how to recognize and perfect your natural point of aim. 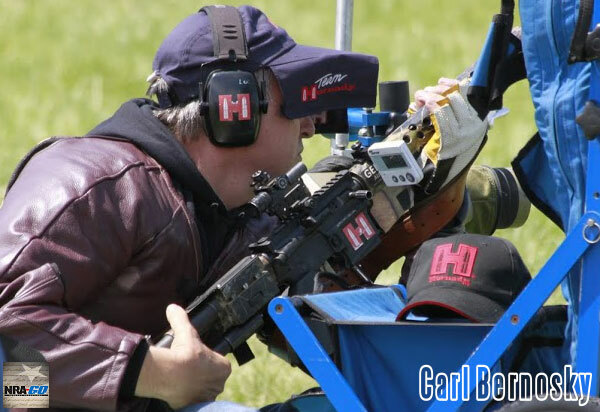 Dennis also offers solid advice on how to get the best “bang for your buck” when choosing shooting accessories for High Power and Across the Course competition. 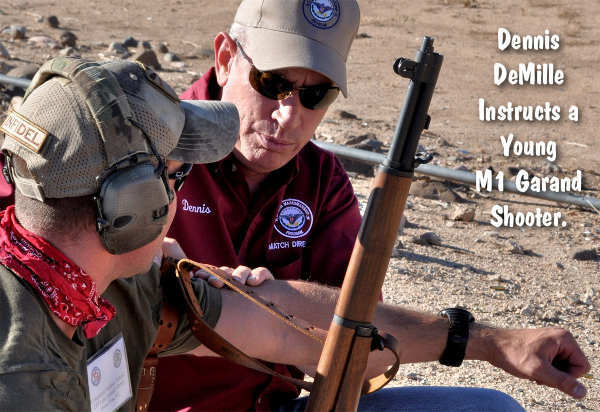 Share the post "Marksmanship Training Tips from Dennis DeMille"